Twenty-five years or so after a small British grown charity called the Marine Conservation Charity started lobbying against the rising tide of plastic polluting our shores and oceans. The UK Government has finally cottoned on to a vote winning public relations campaign. Many consumers have got to grips with local kerbside recycling schemes, although some probably question where it all eventually ends up. 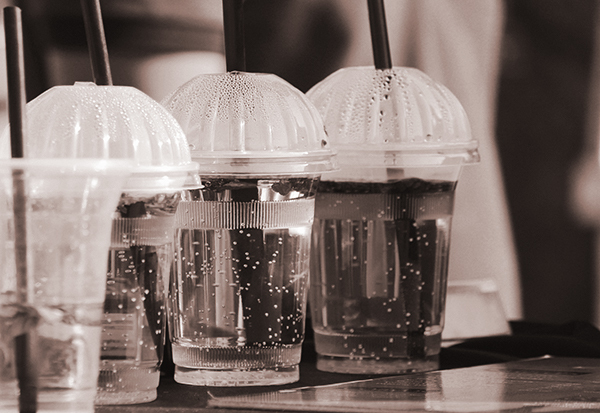 Changes in attitudes towards single-use plastic has lead to 46 percent of UK consumers always or mostly declining plastic straws with their drinks. More than half (53 percent) also say they are actively trying to buy groceries that are not sold in plastic packaging. It seems people now care as much about plastic waste and ocean pollution as Brexit – perhaps because national TV treasure Sir David Attenborough has raised awareness of plastic waste through the Licence Fee. Certainly, the media coverage of plastic waste has given Michael Gove a chance to deflect public attention away from yet another bad news week for the Government. Is this simply grabbing onto the coat-tails of our marine scientists and conservationists who have been asking for a curb for years? Cynics might say Gove merely grabbed the nearest policy off the departmental shelf to stave off the heat of Windrush and Syria. This Government has a real opportunity to do something radical, winning the minds of the public and making real change to society’s view of plastic waste. Plastic straws, drink stirrers and cotton buds are just the tip of the giant ‘plasticberg’. Because of the consumer ground-swell captured by our plastic waste research, this Government can strong arm the retail, food and manufacturing industries into ditching single-use plastic – and there’s nothing those producers can do about it. Because no one wants to see turtles, whales, fish and sea-horses suffer. Do they? So just get on and do it. To read the full plastic waste study click here. The top three things marketers need to know about ad personalisation in the post GDPR world We’ve all been there. Smart speaker research – The study shows how smart speakers are now mass. Consumers are using smart speakers right now and how brands must evolve to succeed in with this new technology.